Rescuers found the bodies of the South Korean climbing expedition scattered across the base camp amid the broken remains of their tents and equipment. The team had injuries, including head wounds and broken bones, consistent with being hit by strong winds, but rescuers say it most likely caused by the powerful downblast from an avalanche, not a storm. 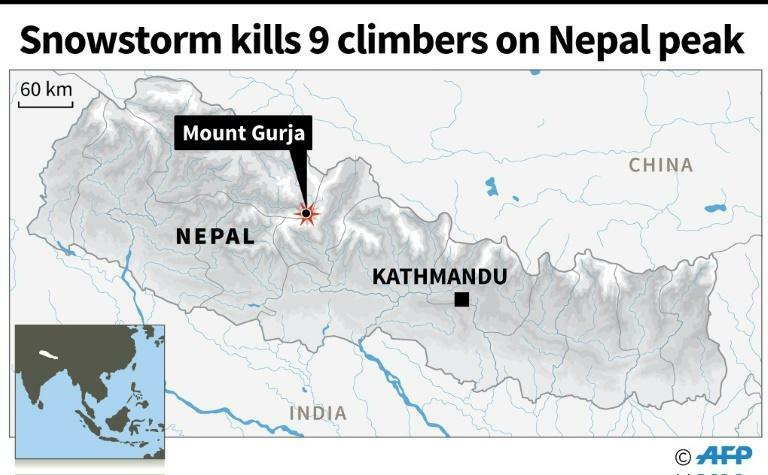 "It seems that seracs (glacial ice) and snow fell from high on the mountain and the strong gusts of winds from that hit the campsite, throwing the climbers off," said rescuer Suraj Paudyal who reached the site Sunday. The remote camp at around 3,500 metres was located next to a gully that acted as a funnel for the mass of snow, ice and rocks brought down by the avalanche creating a powerful kickback of wind that decimated the team. "The terrain is very challenging and it was a difficult process to retrieve the bodies," said Poudyal. 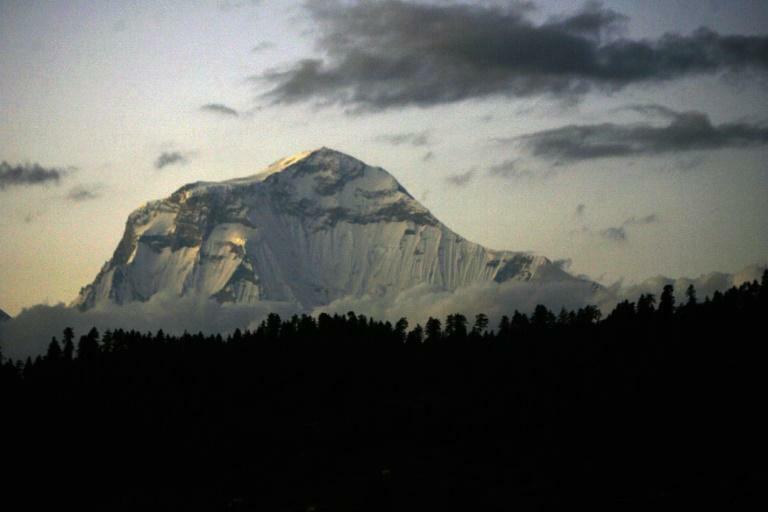 It took a helicopter several trips to bring the bodies -- five South Koreans and four Nepalis -- down from the camp in the Dhaulagiri mountain range of Nepal's Annapurna region. They arrived in the capital Kathmandu late afternoon on Sunday by chopper, an AFP photographer at the scene confirmed. "There needs be an investigation... my hope is that more information will come to light over the next day or two as the remains are collected and analysed," said Dan Richards of Global Rescue, a US-based emergency assistance group that helped with the retrieval effort. 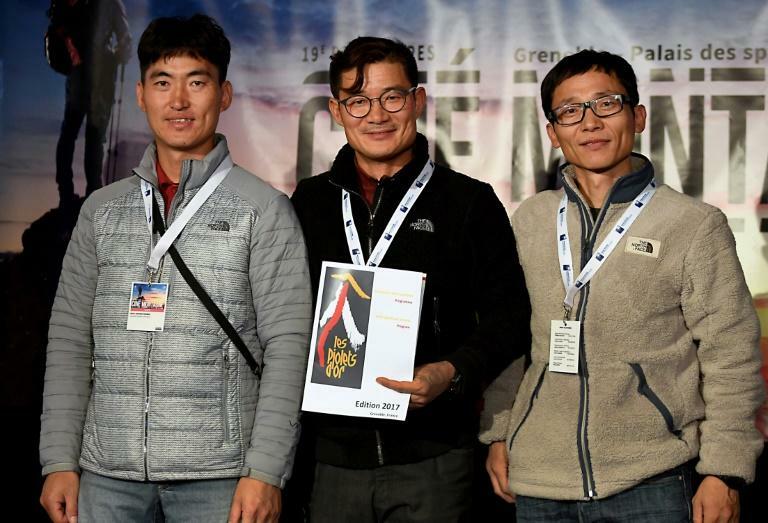 The expedition was led by experienced South Korean mountaineer Kim Chang-ho, who has climbed the world's 14 highest mountains without using supplemental oxygen. The freak accident is the deadliest incident to hit Nepal's mountaineering industry since 18 people were killed at Mount Everest's base camp in 2015 in an avalanche triggered by a powerful earthquake.